More than 100,000 tonnes of waste is generated each year by local construction and demolition activity, excavations, and roads maintenance. These materials - typically concrete, tarmac, bricks, stone and ceramics - are termed 'inert waste', because they do not readily react or decompose when exposed to the elements. Some of this material can be reused or recycled in other building projects. There is now greater emphasis on taking steps to better manage and reduce this waste. 'Site Waste Management Plans' are now a requirement for medium and large construction projects. These set out how waste how waste will be minimised, reused or recycled. However, prioritising waste reduction does not remove the need for a disposal option. The remainder has to be disposed of locally, and this is currently done by land reclamation. The current facility at Longue Hougue is expected to be full around 2022, after which a new solution is required. Work has therefore begun to find an alternative site which would be funded from future inert waste disposal charges. In 2016, a working party of various States Committees that have a role or interest in this topic reviewed a list of more than 50 potential solutions and sites. 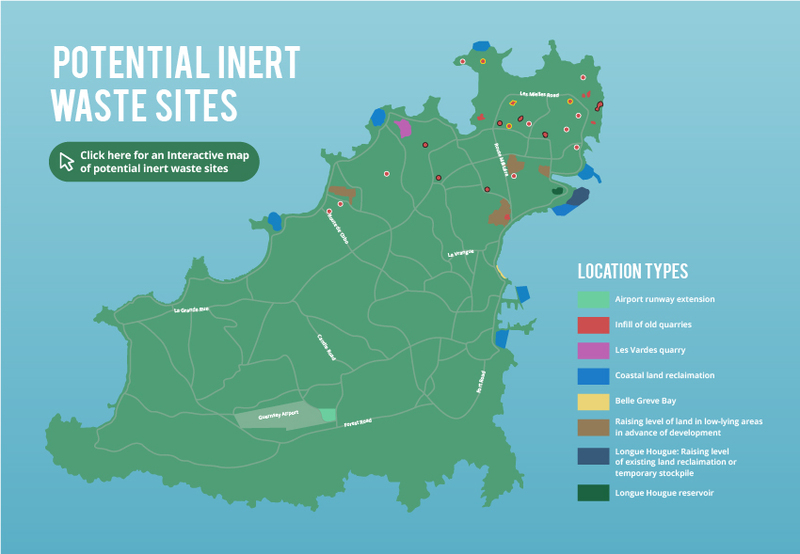 These included options from continuing coastal land reclamation, land-raising in low lying areas, infilling former quarries and facilitating an extension to Guernsey Airport's runway. The interactive map below shows these shortlisted and discounted sites with justifications for these decisions. In 2017 the States' Trading Supervisory Board and the Committee for the Environment & Infrastructure submitted a joint policy letter proposing that an extension to the current land reclamation site at Longue Hougue was the best practical environmental option. Permission was granted to proceed with further design and analysis, beginning with a more detailed Environmental Impact Assessment (EIA). 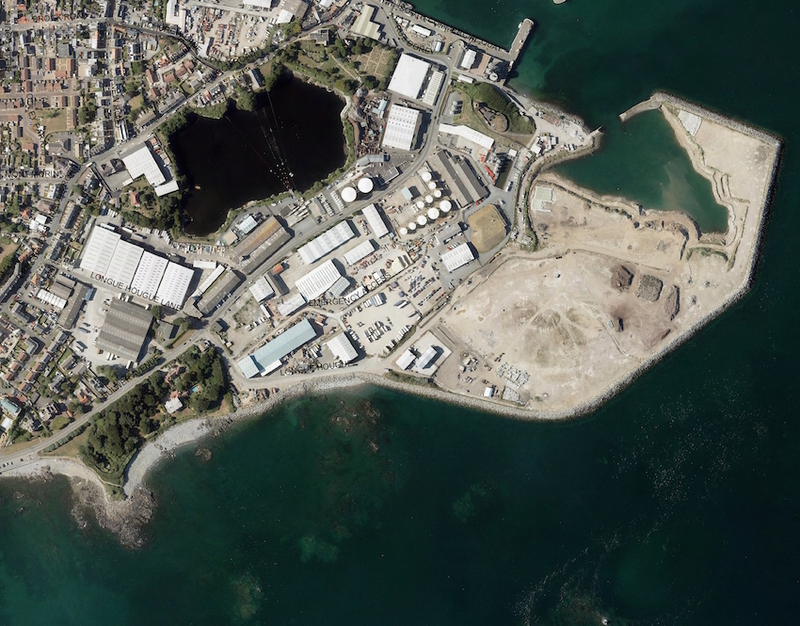 The EIA will assess the possible impacts of the potential construction and operation of the site including a range of factors such as biodiversity, coastal processes, hydrogeology, landscape and air quality. As part of this, technical experts from each field and the public will be consulted. Once these studies are complete, the findings will be presented to the States to enable the Assembly to consider the outcomes. Any development would then be subject to a Planning Inquiry and an Outline Business Case before final approval by the States. It is expected any future site would be ready by 2024.